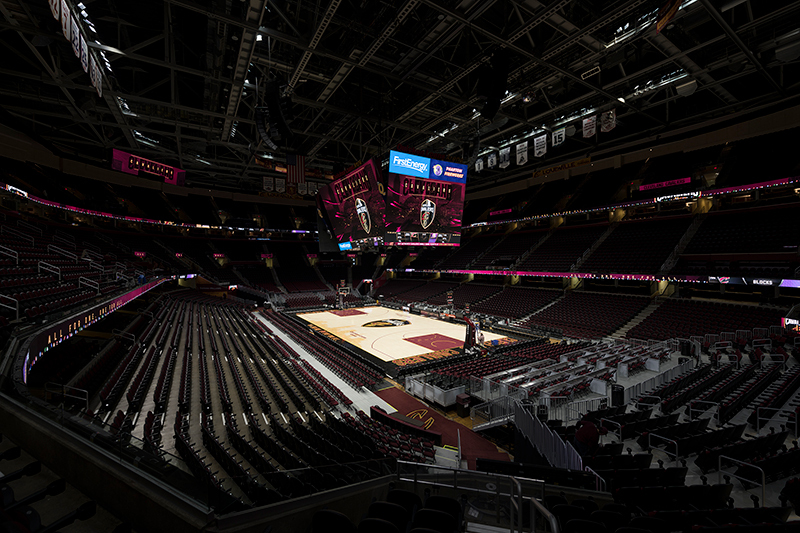 Known as “The Q”, Quicken Loans Arena is northeast Ohio’s premier sports and entertainment facility located in the heart of downtown Cleveland. 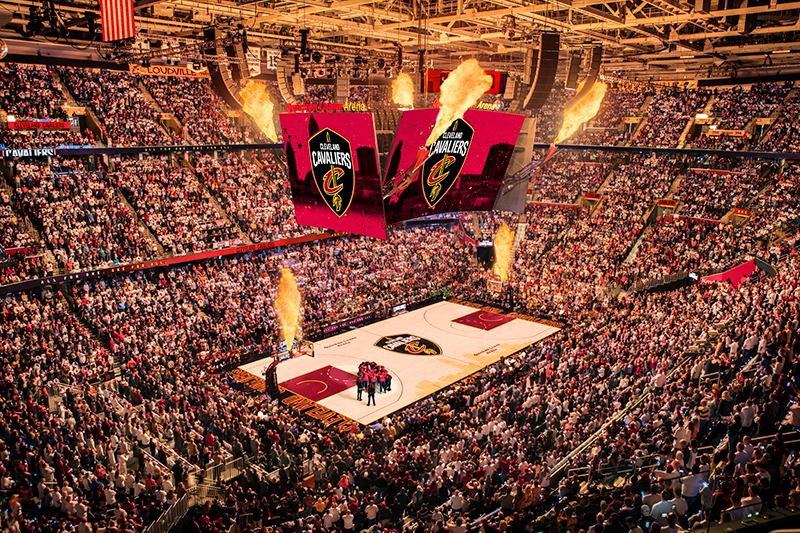 The Q is home to the NBA Cleveland Cavaliers, AHL Cleveland Monsters, AFL Cleveland Gladiators and the annual MAC Men’s and Women’s Basketball Tournament. The Q hosts more than 200 diverse ticketed events, concerts and family shows that draw over 2 million patrons to downtown Cleveland each year. Upgrading to a new LED lighting system was important in maintaining the venue’s reputation for providing a world-class entertainment experience. 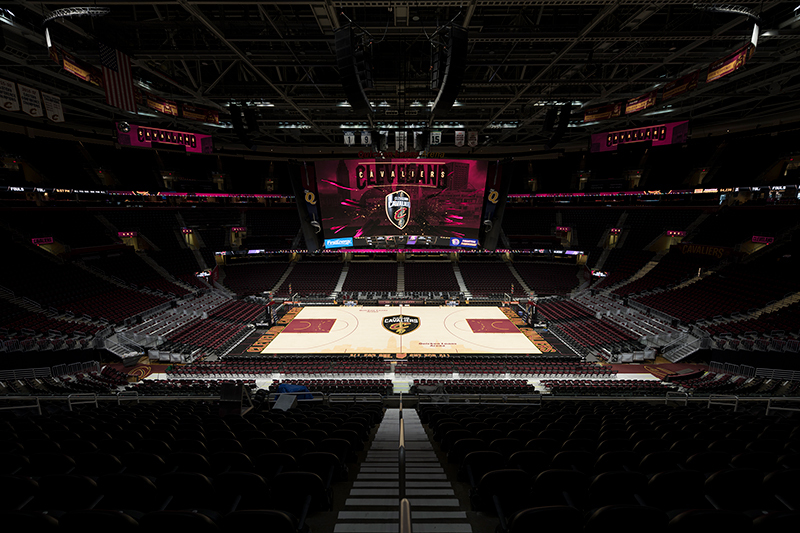 Better Visibility – the system’s patented optics around the LEDs apply a more distribution of light across the court and seating areas immediately surrounding it. 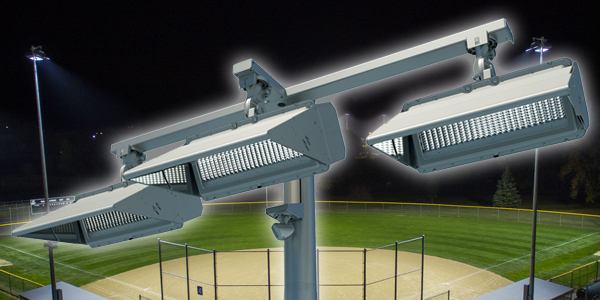 Glare Control – the patented visors on the TLC for LED fixtures virtually eliminate glare from impacting players and spectators. 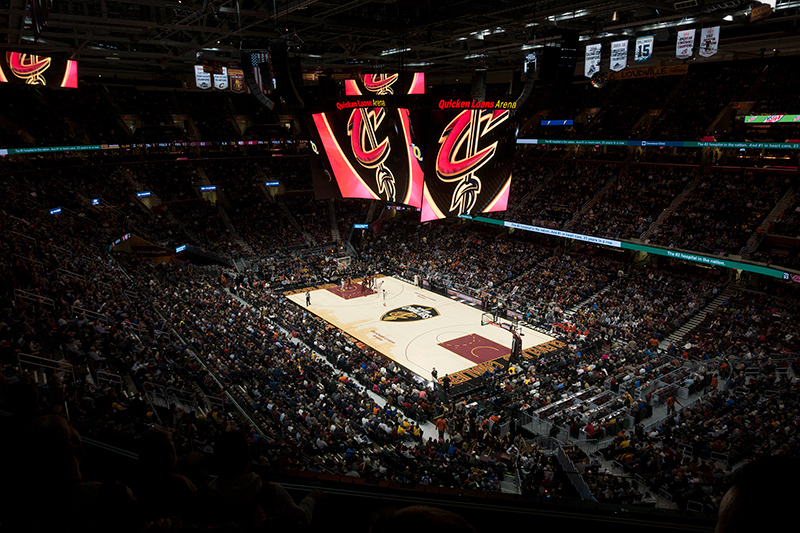 Enhanced Entertainment – the new lights integrate with the arena’s center-hung LED scoreboard and LED fascia around the seating bowl, helping to deliver enhanced special effects lighting. Zero Maintenance – Musco’s 10-year parts and labor warranty means arena management won’t have to worry about system maintenance, or pay for it, over the long term.